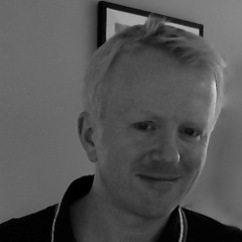 Tom Dickins is professor of behavioural science at Middlesex University. His background is in psychological sciences (BSc; CNAA), philosophy of science (MSc; London), evolutionary psychology (PhD; Sheffield); and, ecological survey techniques (PG Cert. ; Oxon). His research interests fall into behavioural ecology and theoretical concerns within evolutionary biology. Tom has worked on predictors of early fertility in human populations and more recently he is developing a long-term project investigating factors affecting clutch size in Kittiwakes (Rissa tridactyla). Tom has also been working with his former PhD student, Dr Rob Spencer, and other colleagues investigating various aspects behaviour in urban gulls (Laridae). Recent theoretical work with colleagues has focused upon biological causation and, in particular Mayr's (1961) distinction between ultimate and proximate causes. The first paper in this project, led by Thom Scott-Phillips (Durham) and with Stuart West (Oxford), pointed to a series of conflations of proximate and ultimate accounts within the evolutionary psychology literature. Not everyone agrees with this adherence to Mayr, however. In recent years a number of scholars have argued that the Modern Evolutionary Synthesis is conceptually under-resourced, and that we need to replace it with an extended evolutionary synthesis. In particular a number of people have argued that development and developmental processes must be incorporated into any account of evolutionary dynamics. Most notably, some have argued for the concept of reciprocal causation, to replace Mayr's distinction, which effectively states that development can modify selection. In a paper with Robert Barton (Durham), Tom argued that this is not a challenge for the modern synthesis, that developmental processes are purely proximate, but the fact that proximate actions can impact on selection is not only true but already incorporated in standard evolutionary thinking. Other researchers have argued that trangenerational epigenetic effects lead to a form of biological evolution. Specifically, such effects are seen as developmentally induced changes in the phenotype and in the frequency of occurrence of that phenotype over some generations. This looks like evolution, and it also looks like a neo-Lamarckian form of evolution. With Qazi Rahman (QMUL) Tom has suggested that this is a conflation of proximate and ultimate concerns. In fact, if you look at the kind of induced variation seen in such transgenerational epigenetic processes it is clear that it is not the same as that expected in biological evolution. Instead it seems that epigenetic responses are facultative and reactive to key ecological and biological cues. They go onto claim that this makes such mechanisms look more like adaptations designed to deal with a stochastic ecology. Thus they are proximate processes. Finally, Tom is also involved in a behaviour change project to encourage greater reuse and to reduce fly-tipping in five London estates. This project is a partnership funded by the European Union, through the LIFE+ scheme. Tom convenes a final year option on evolutionary approaches to behaviour (PSY3027). This incoporates ethology, behavioural ecology and evolutionary psychology. Tom also runs a two week residential animal behaviour field trip on Lundy island. For more details about this please visit Tom's website at this link and have a look at this film. Tom also delivers a lecture on foraging to natural sciences each year, and supervises final year projects and taught MSc dissertations. Currently Tom is supervising two MSc by Research (Evolutionary Behavioural Science) candidates. Kirsty Neller (a GAA in the department of psychology) is contributing to the Kittiwake (Rissa tridactyla) project led by Tom. This aims to assess various risks to Kittiwake colonies, beyond climate induced food stress. Emily Beasley is working on urban gulls in Bath as part of a collaboration with Dr Chris Pawson at UWE. You can read a little more about the project here. Please follow this link to view my publications. Project: REPURPOSE - equipping community groups in estates to reuse more, clear fly tipping and improve their local environment.